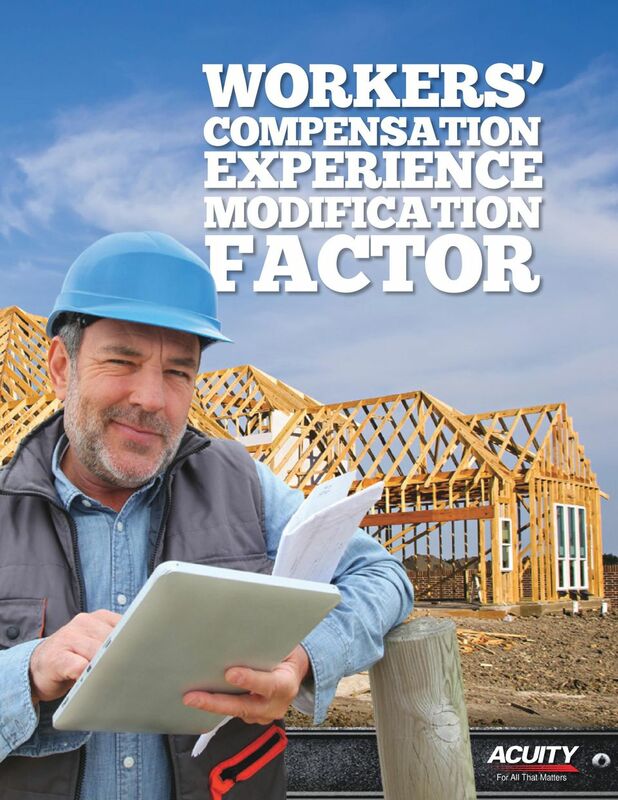 Download "WORKERS COMPENSATION EXPERIENCE MODIFICATION FACTOR. For All That Matters"
2 WHAT S A WORKERS COMPENSATION EXPERIENCE MODIFICATION FACTOR? 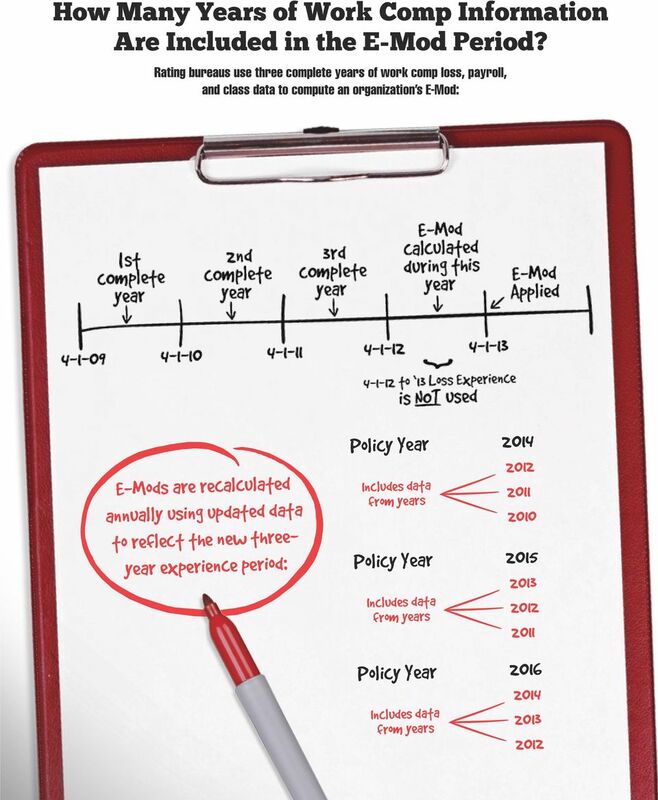 Your Work Comp Experience Modification Factor (E-Mod) is a primary factor you can control to help lower your insurance premium. 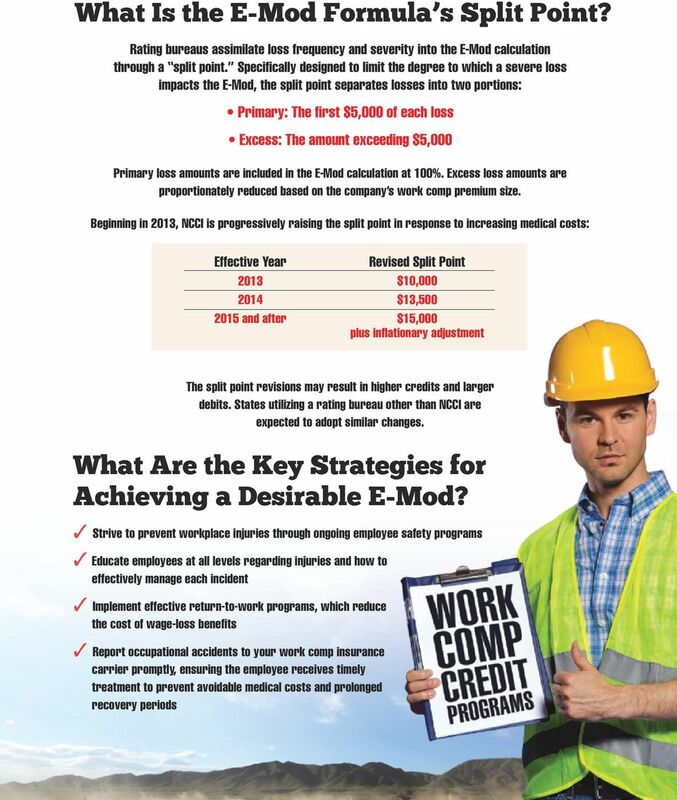 An E-Mod is a credit or debit applied to your work comp premium. It reflects your company s work comp accident history as compared to others within the same industry and state. This credit/debit could significantly change what you pay for work comp insurance. Simply speaking, E-Mods are loss prevention incentives for business owners. 3 Who Determines a Company s E-Mod? 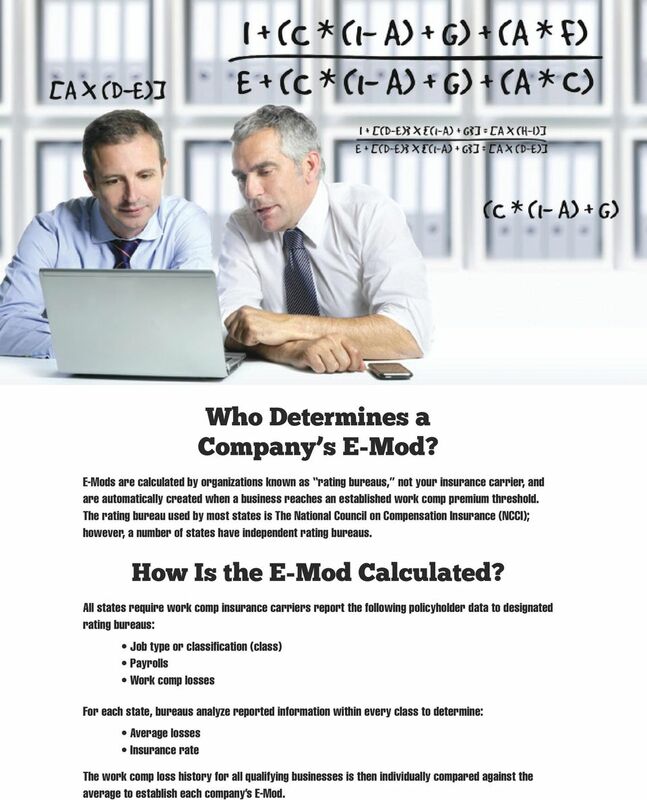 E-Mods are calculated by organizations known as rating bureaus, not your insurance carrier, and are automatically created when a business reaches an established work comp premium threshold. The rating bureau used by most states is The National Council on Compensation Insurance (NCCI); however, a number of states have independent rating bureaus. How Is the E-Mod Calculated? All states require work comp insurance carriers report the following policyholder data to designated rating bureaus: Job type or classification (class) Payrolls Work comp losses For each state, bureaus analyze reported information within every class to determine: Average losses Insurance rate The work comp loss history for all qualifying businesses is then individually compared against the average to establish each company s E-Mod. White Paper. 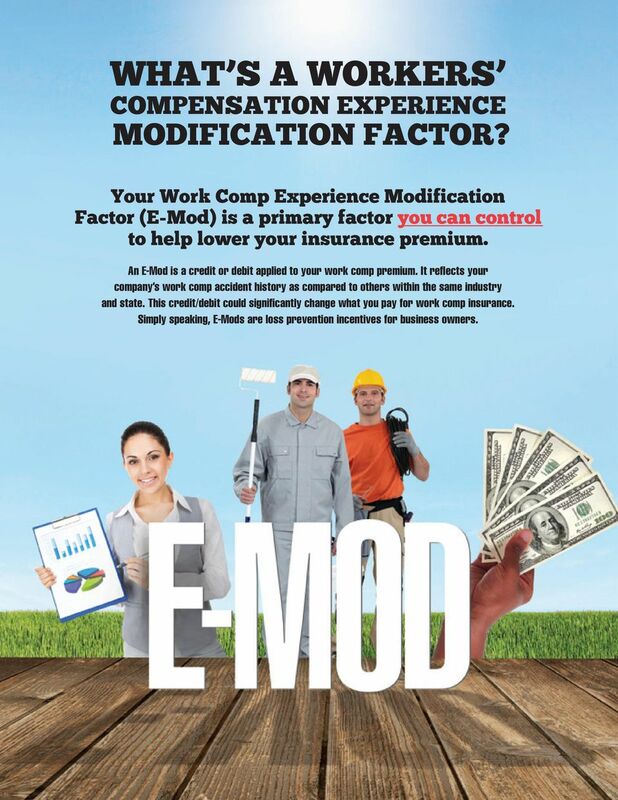 Managing Your Workers Compensation Experience Modification. People helping people...it s what we do best. 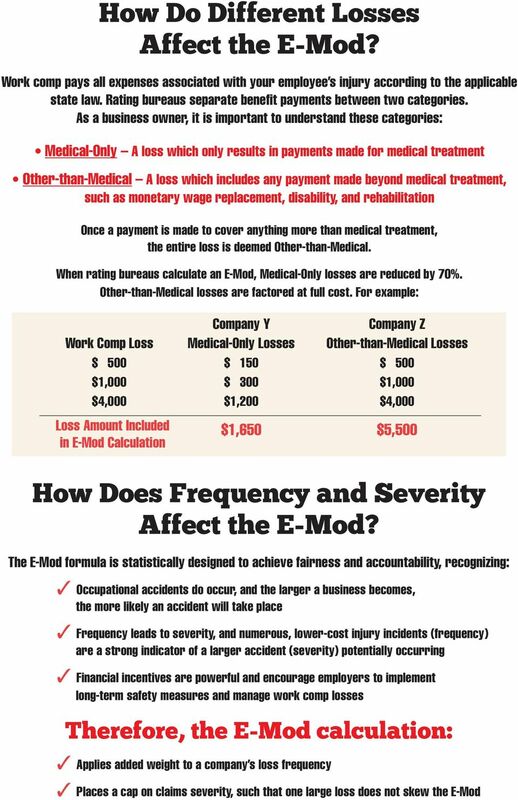 Manage Your EMR: Why Ex Mods Are A Poor Safety Measurement And What You Can Do About It! 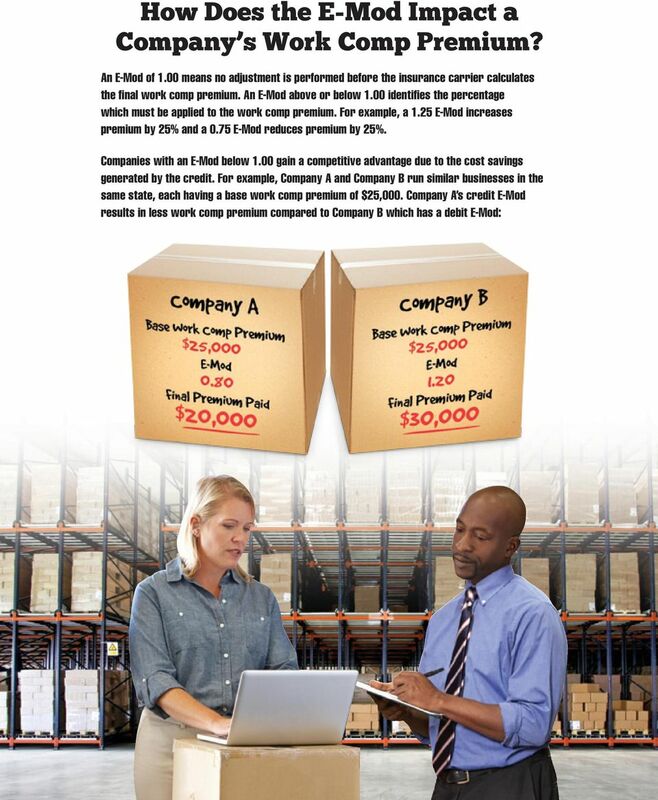 Want to lower your worker s comp costs? Workers Compensation Solutions from CNA www.cna.com A commitment to your employees A commitment to your company Take a look around your company. Chances are, your workplace has changed in the past 10 years. Heffernan Insurance Presents: A Workers Compensation Update A review and what s on the horizon? Aon Risk Solutions Experience Modification Rating An Accurate Measure of Safety? Worker s Compensation Terminology Quick Reference Guide American Medical Association (AMA): It is a professional association intended for the promotion of best practices, uniform standards and peer review. PCRB CIRCULAR NO. 1630 REVISIONS TO WORKERS COMPENSATION & EMPLOYERS LIABILITY INSURANCE FORMS - EFFECTIVE JANUARY 1, 2015 PCRB FILING NO. 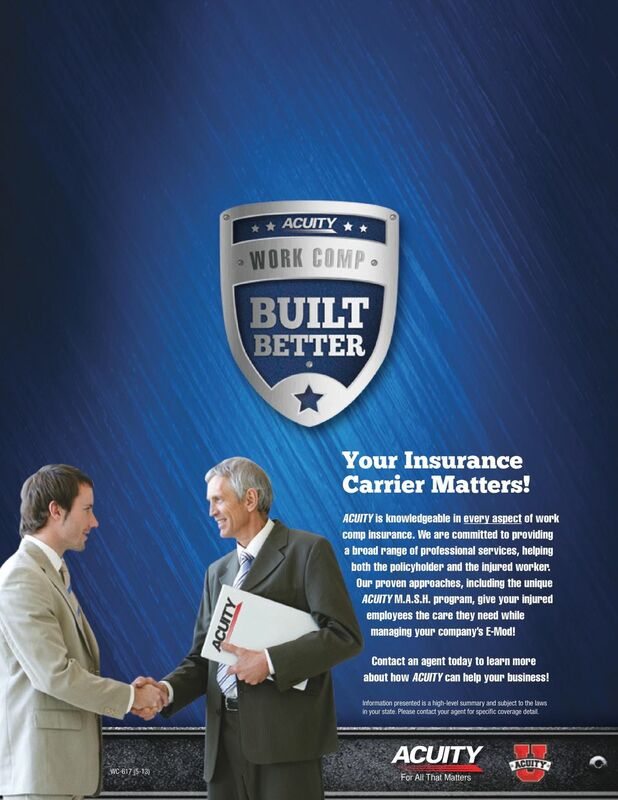 The American Council of Life Insurers. Written Statement for the Record. for. Maintaining the Disability Insurance Trust Fund s Solvency. WSI North Dakota Workforce Safety & Insurance EMPLOYER INFORMATION Please visit our website at www.workforcesafety.com for all of our online services or call1-800-777-5033 or (701) 328-3800 for assistance. PEO Questions Virginia Workers Compensation Commission PROFESSIONAL EMPLOYER ORGANIZATION FREQUENTLY ASKED QUESTIONS 1. When does a business need to register as a Professional Employer Organization? A.
auto Insurance NO-FAULT Benefits N O - F A U L T Count on AAA to handle your claim promptly, courteously & professionally. Injuries as a result of auto accidents can be a stressful event in our lives.